Then I headed back to the Caribbean for a week volunteering at an ER in Haiti. 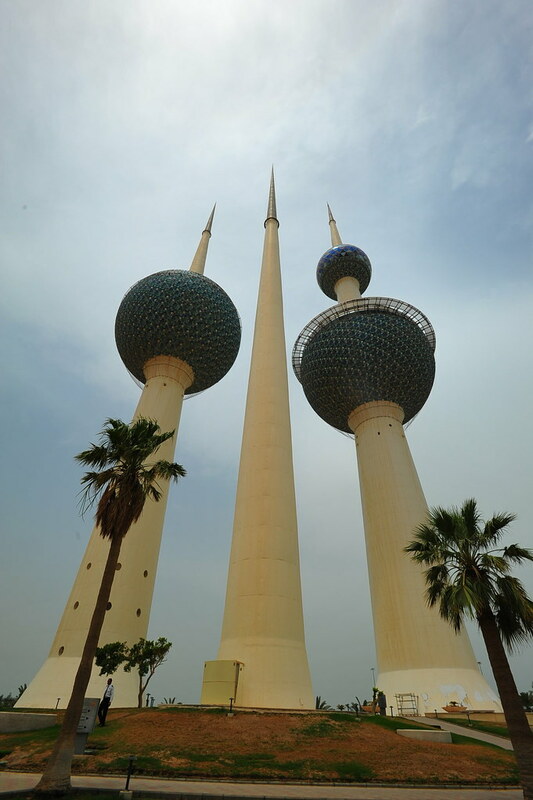 Now I’m back to the Gulf/Middles East today for Kuwait. So NYC –> Caribbean –> NYC –> Middle East –> NYC –> Caribbean –> NYC –> Middle East. 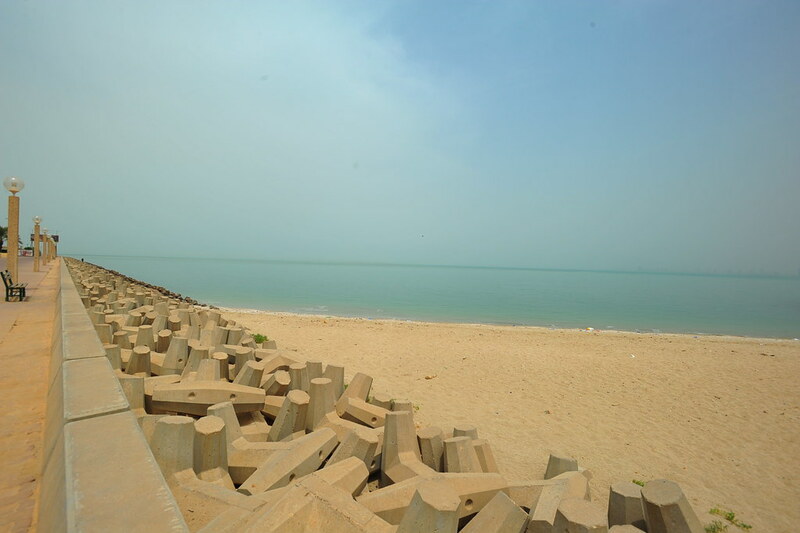 It’s very well known amongst travelers that Kuwait isn’t much of a destination for tourists, let alone a place to visit during the summer when the weather is 105ºF and up, or even worse, during Ramadan when everything is closed until 7pm. 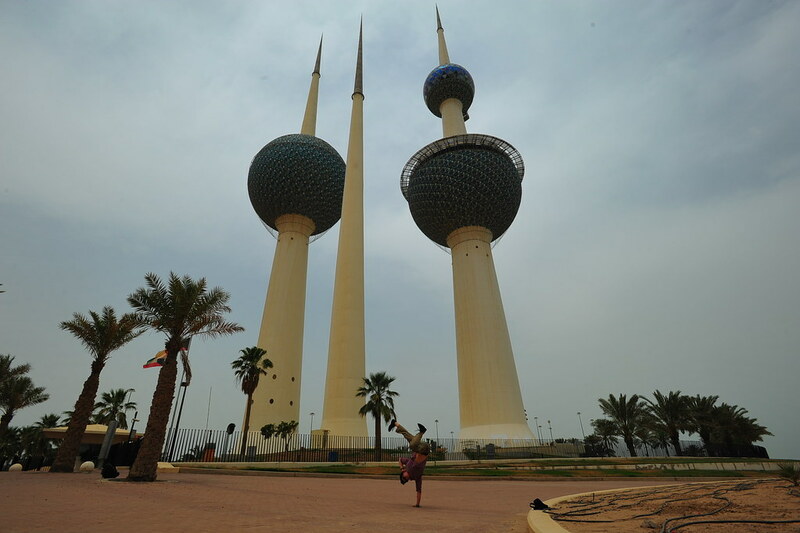 Well, we just did Kuwait in the middle of summer during Ramadan: how about THAT. Originally I scheduled an itinerary to depart from Haiti – NYC – Amsterdam – Kuwait, but KLM Airlines cancelled their NYC – Amsterdam leg (due to inclement weather there) and instead rebooked me, adding in an extra leg to make it NYC – Brussels – Amsterdam – Kuwait. However, once I was in the air on my way to Brussels, KLM then also cancelled their Brussels to Amsterdam flight, leaving me stranded in Brussels by the time I landed. After arriving in Brussels I ran around the airport, even through an extra unnecessary security screening to connections, with no staff member bothering to help. I then finally found a kiosk representing KLM at the departures area, who helpfully rebooked me on a Lufthansa Airlines itinerary that would take me from Brussels – Frankfurt – Kuwait that was leaving in 35 minutes. I ran back through security again and made it to the Lufthansa flight on time, getting to Kuwait an hour earlier than my original itinerary with an 8pm landing. Huzzah! 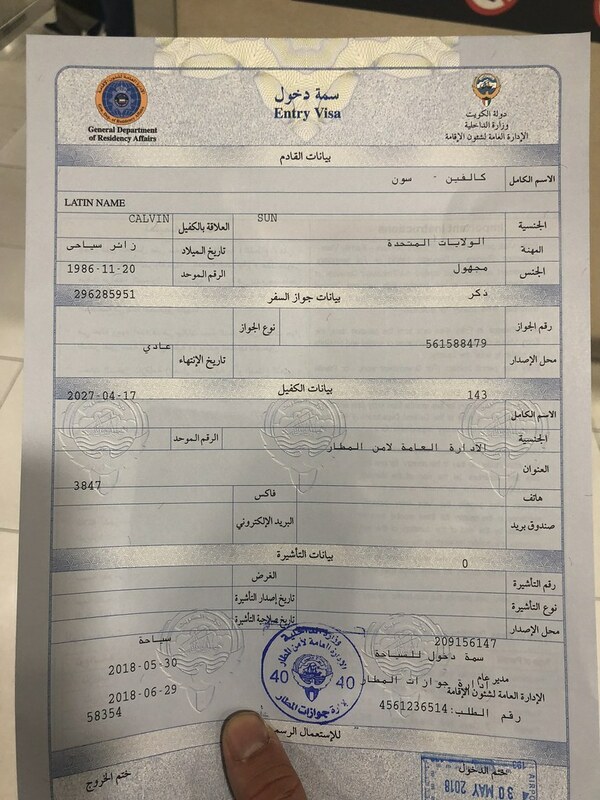 Once you land in Kuwait airport, you’ll may likely need a visa on arrival. 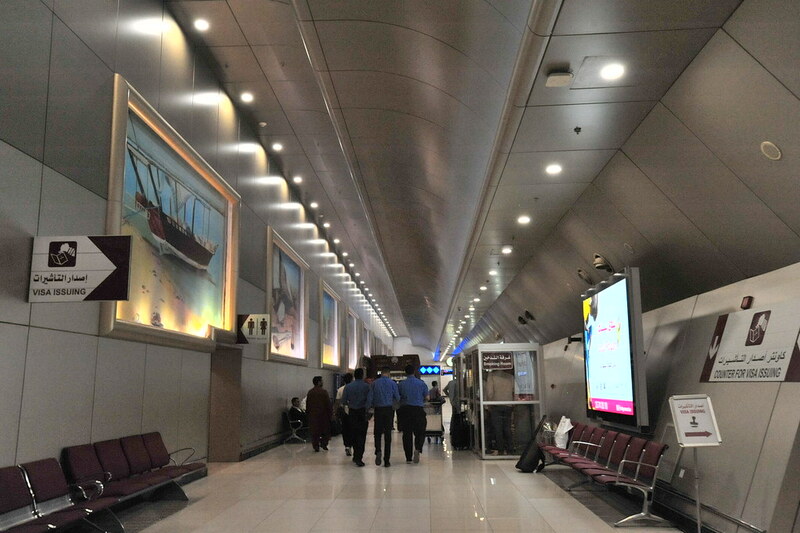 So instead of going through passport control, head upstairs to the departures level and turn left around a corner towards a long hallway. There should be a sign pointing right to a visa office. 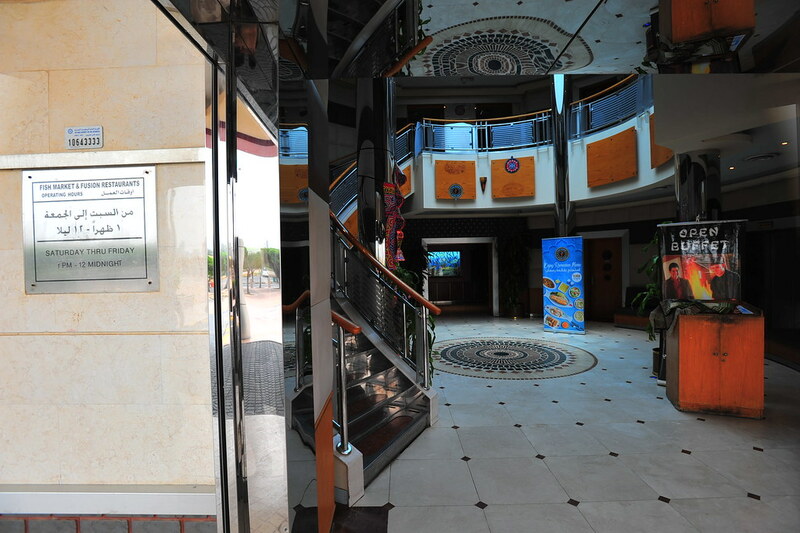 Except it’s not an office but rather a large banquet hall that sometimes functions as a visa office with a large waiting area. You first have to fill out a quick form, get your passport xerox’ed, and take a number. Once they call for your number, you present your documents with your passport where they fingerprint you and give you a huge piece of paper that’s your visa. 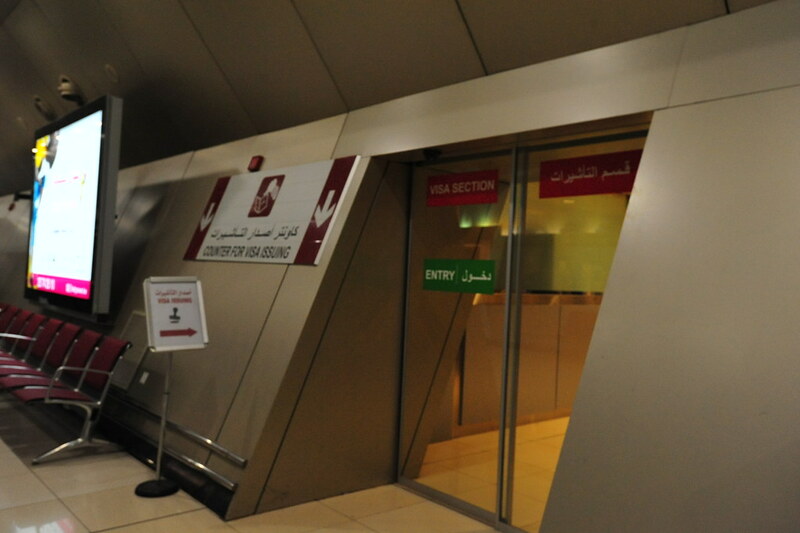 You then go to a desk on your right to get confirmation of your visa with an officer, and then you can head back downstairs and whisk through passport and customs without having to be stamped. 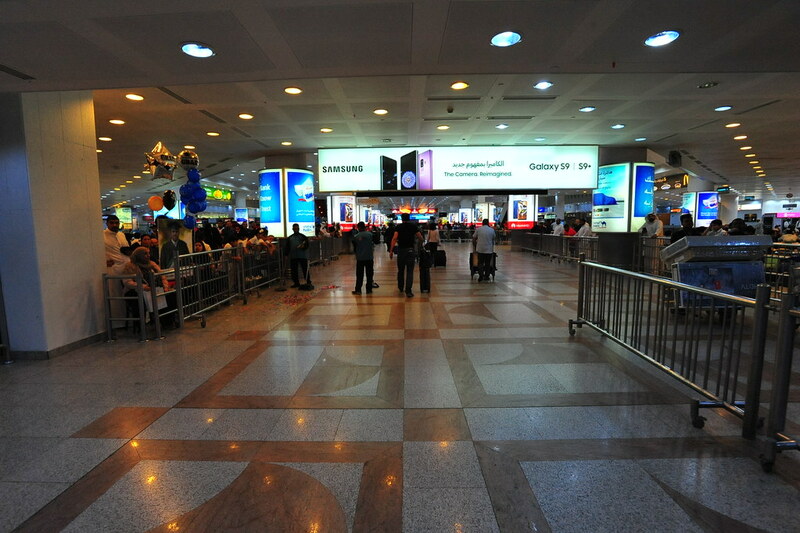 Once at arrivals, I took an airport taxi waiting outside. 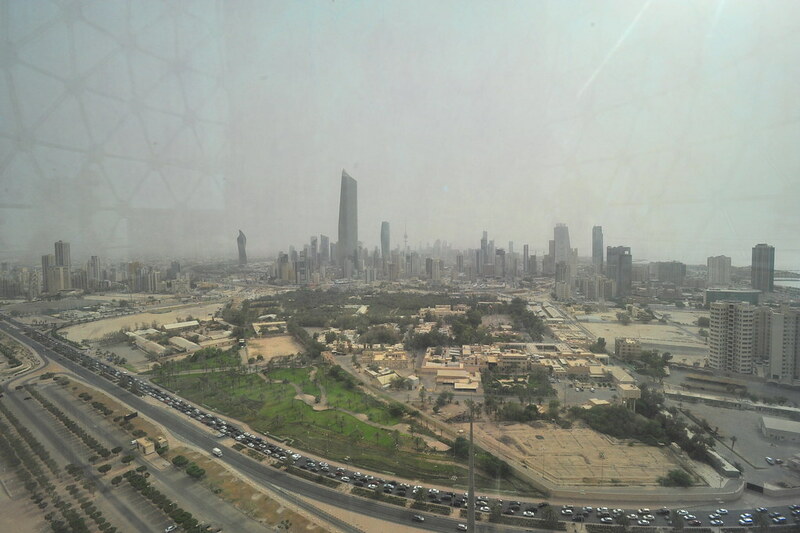 FYI: Looking back, if I were to return to Kuwait I’d rent a car to get around. Every cab driver we hailed tried upsell us such as asking us to pay 1 extra KWD on top of the listed meter fare, telling us that their meter was broken, or giving us the runaround route, which wasted a lot of time. It was not until we used the app Careem — the few times when it actually works — where we got more of a fair deal. I eventually got to my lodging in the city, Arkan Residence, at around 9:30pm where I met up with the rest of the crew of monsooners. 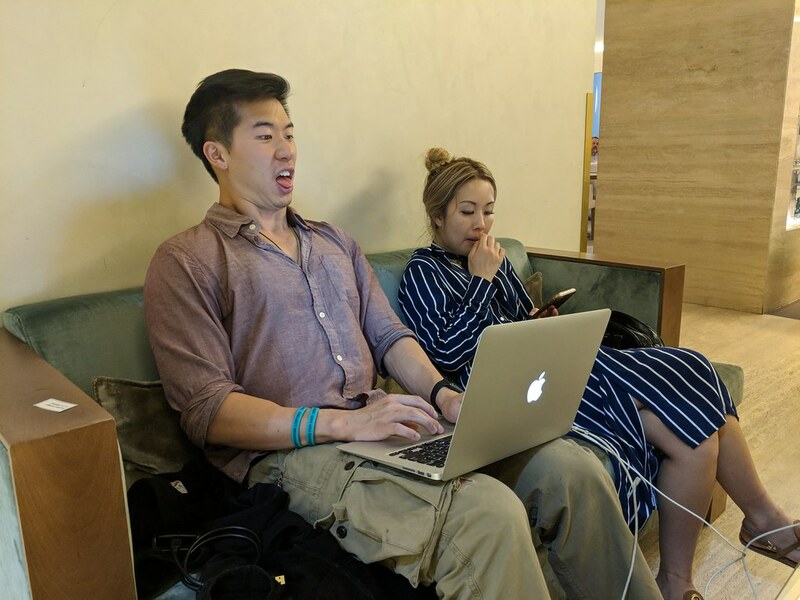 Although Ann and Mihaela is traveling with me for the whole itinerary, Donavan just joined us at the last minute for Kuwait as he just happened to be scheduled to work here for the month. I have to give props to his reaching out to me a few days ago about joining the trip for just 24 hours, as he and I had met way back in 2014 for only a mere few seconds at the ECAASU conference in DC. I remember he had stopped by my suite with a few friends, we then introduced ourselves, and that was that before 80-90 more people started coming in. The fact he’s now here hanging out with me 4 years later in Kuwait is mindblowing to me and I’m grateful he’s kept up with The Monsoon Diaries since then. 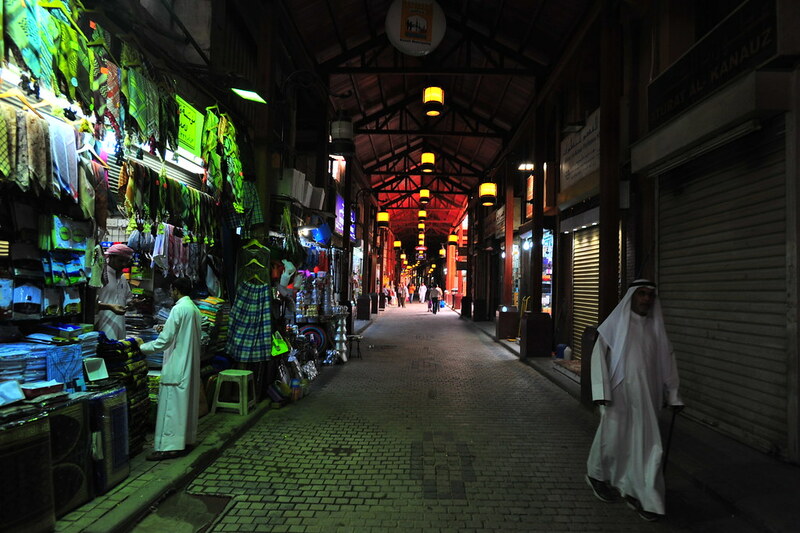 Since most of you reading this might be budget backpackers: There are no hostels in Kuwait City. Your best bet is sharing an apartment on Booking.com. 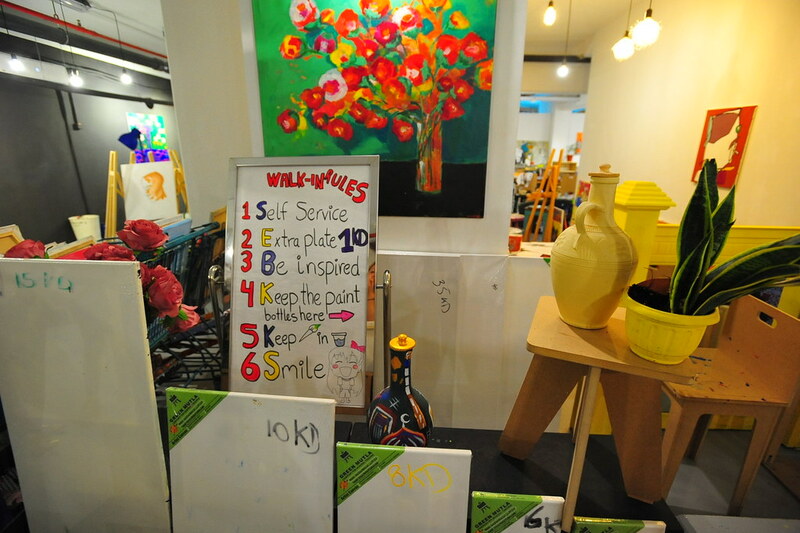 What I found, Arkan Residence, is one of the few affordable options if you want to stay inside Kuwait City. However, it’s an odd place being that although it looks fancy and has a gym, kitchen, two bathrooms, a pretty water filter, laundry machines, dryers, microwave, TV, shampoo/conditioner amenities etc., there’s somehow no toilet paper, the bedroom door doesn’t quite shut all the way because the corner of one of the beds blocks it from closing, and there’s only one electrical socket per room (even the living room) with no power strips to fix the situation. That means a room may have multiple unplugged lamps or a washer and dryer with no power strip to share between the two — you have to unplug one to start another. Yes, it looks pretty but still very much a work in progress. At least the kitchen works well enough to boil ramen (hey, it’s Ramadan here and we’ve been doing our best fasting with them the whole time here). 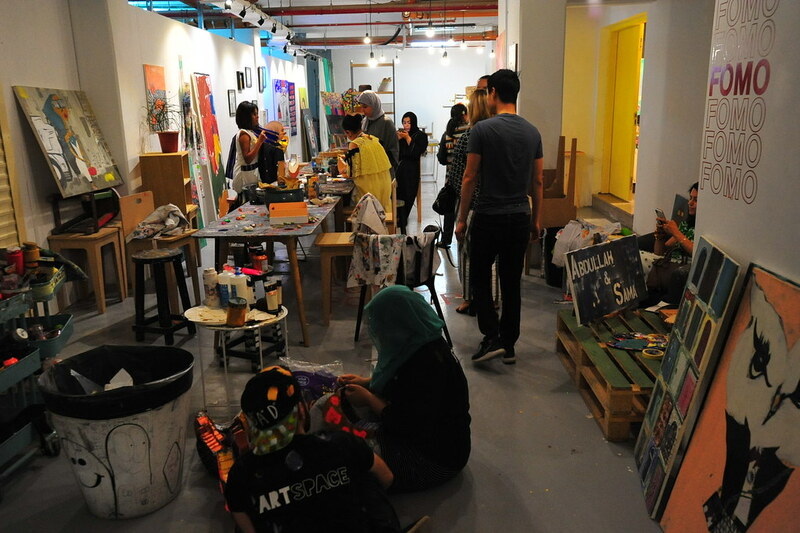 After freshening up we headed out to a free Art Space event in the Salmiya District. 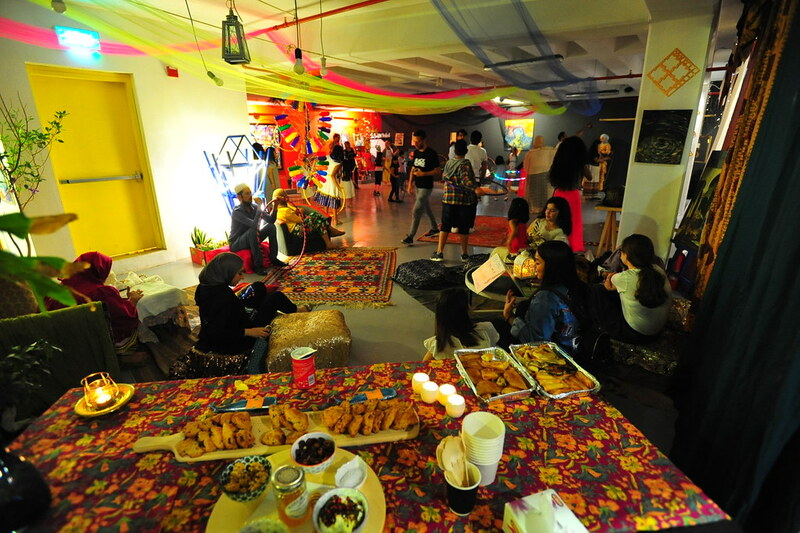 Mihaela had heard about this from her couchsurfing host the night before, and because why not. 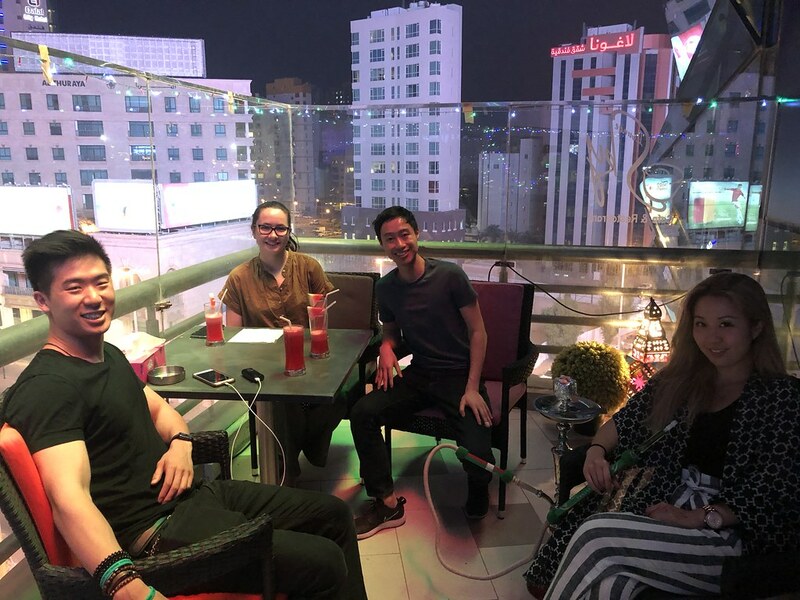 We spent about half an hour here before heading to Sky Lounge Café nearby for shisha, food, and endless rounds of watermelon juice (it’s in season here!) 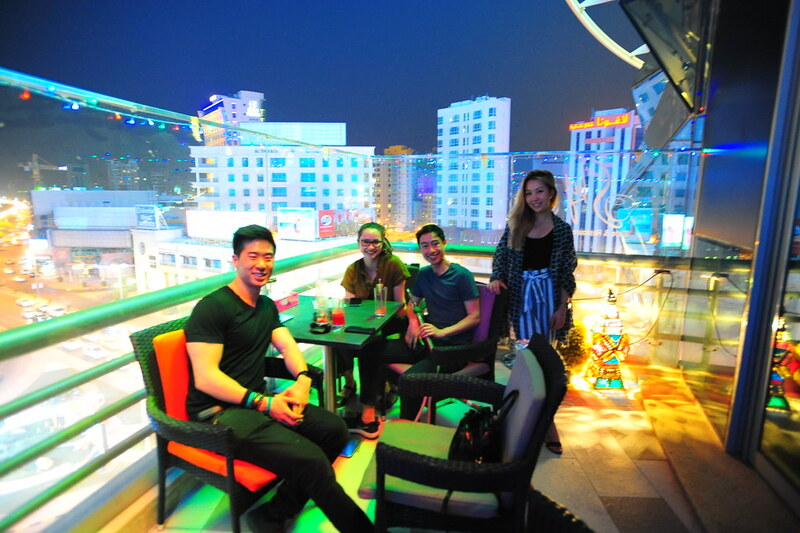 with rooftop views of the city. We headed back after their 2am closing and turned in at 3am, sleeping in until 11am the next morning where we got ready for our day in Kuwait. Except you probably shouldn’t start your day early in Kuwait if it’s during Ramadan. 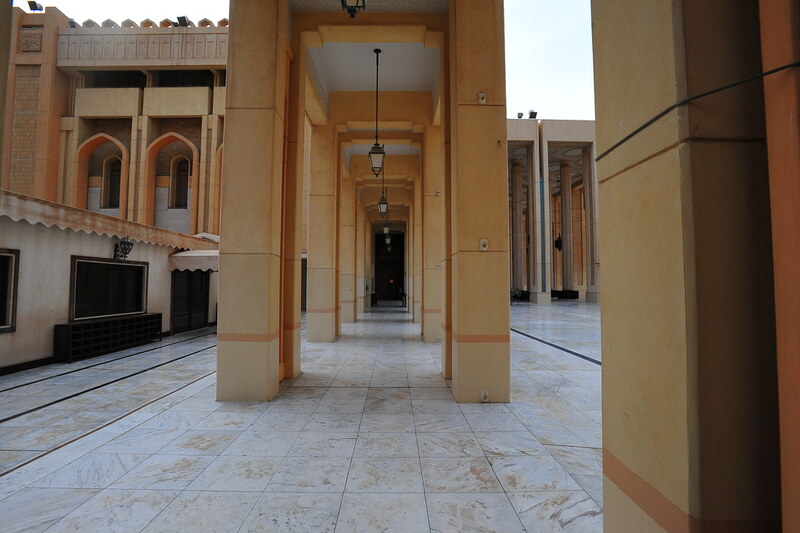 Pro-tip: If you’re visiting during Ramadan like we’re doing, this should be your itinerary: visit the Grand Mosque at 10am and then head to the malls to wait for everything else to open in the afternoon. Then see everything in the afternoon and the evening. 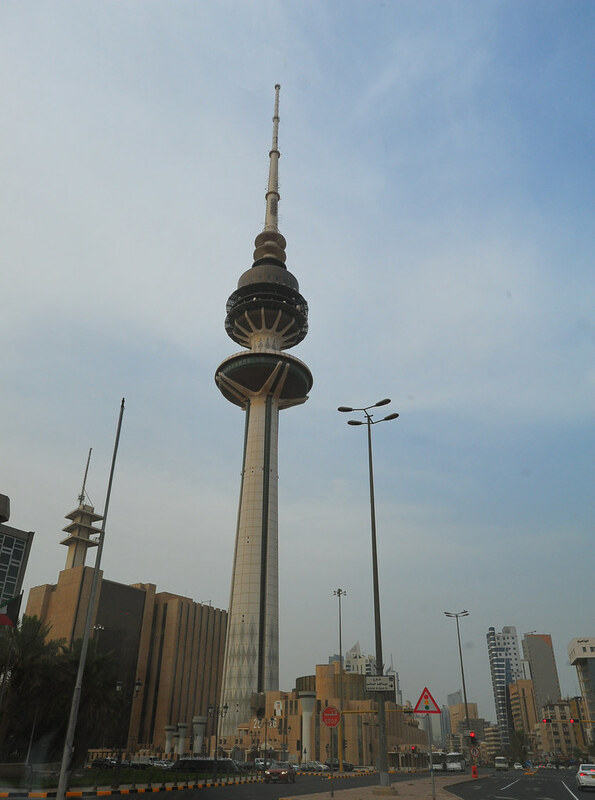 If you don’t want to visit the mosque, then don’t bother starting your day early otherwise: Not even the main tourist attraction of Kuwait Towers opens until 3pm. We found that out the hard way when we made that our first stop of the day — we took a quick 5 min cab there and broiled under the 105ºF sun all alone and by ourselves. Nevertheless standing under this iconic pair of glittering blue towers with not another soul in sight around during Ramadan can be pretty surreal. 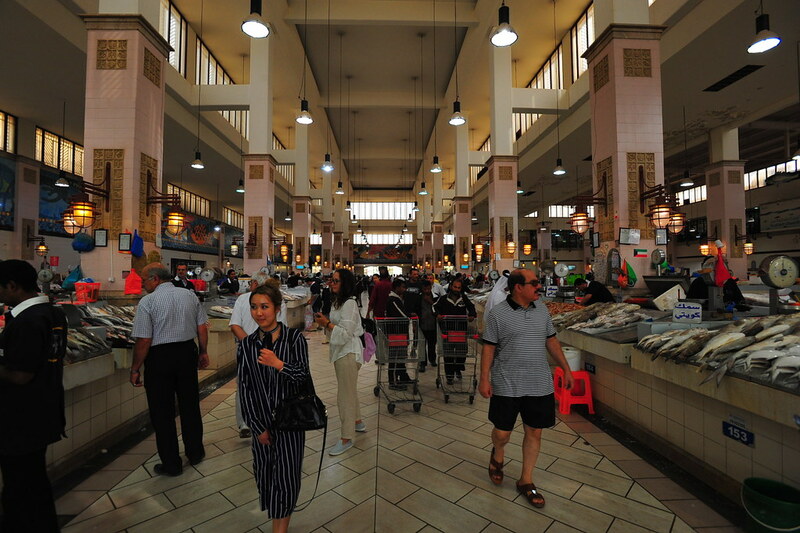 Next to the towers is a Fish Market, but it’s really a seafood restaurant. 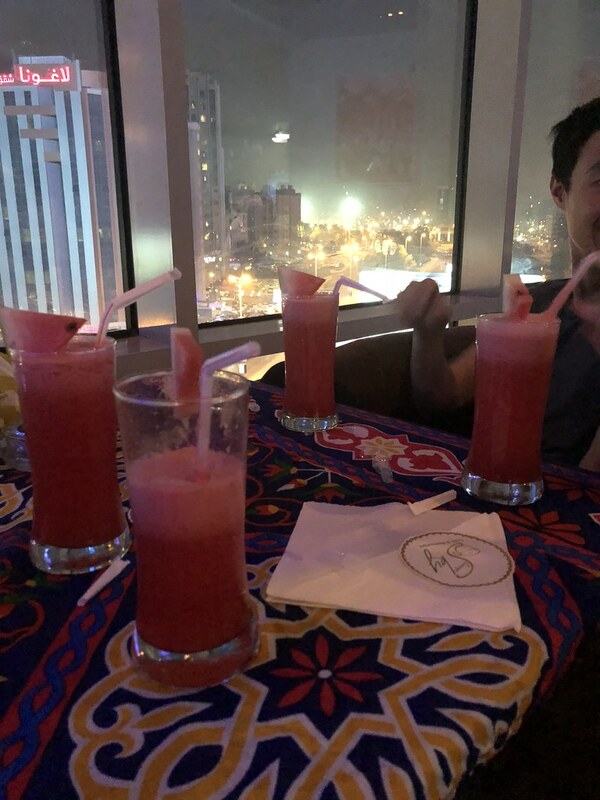 We then fled for shelter from the heat and hailed a cab after Donavan found us nearby Souk Sharq, a mall with its very own island (and is open during Ramadan!). Although nearly all the shops were closed except for Zara, Bath and Body Works, and a grocery store, we found a small and cute open café inside the grocery store that was allowed to make food but not have it’s customers eat anything in front of it (because of Ramadan). So we ordered some smoothies and snuck into the back kitchen to consume our goods. 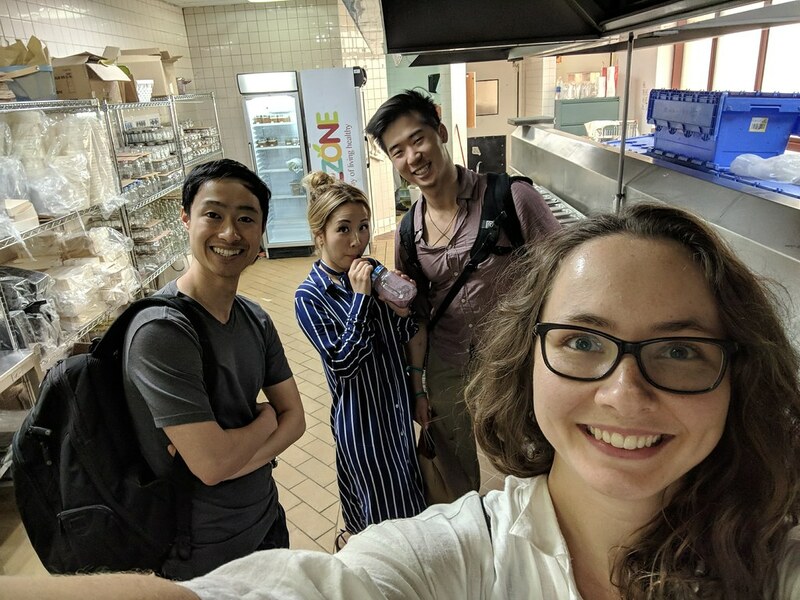 Although this may not be on the level of exploring the fifth floor at the North Korea’s Yanggakdo Hotel or riding in a convoy of bullet magnets into Mosul, we felt a little criminal inside all of us surreptitiously sipping on our smoothies. We did try our best to fast, but we’re pretty new at this. 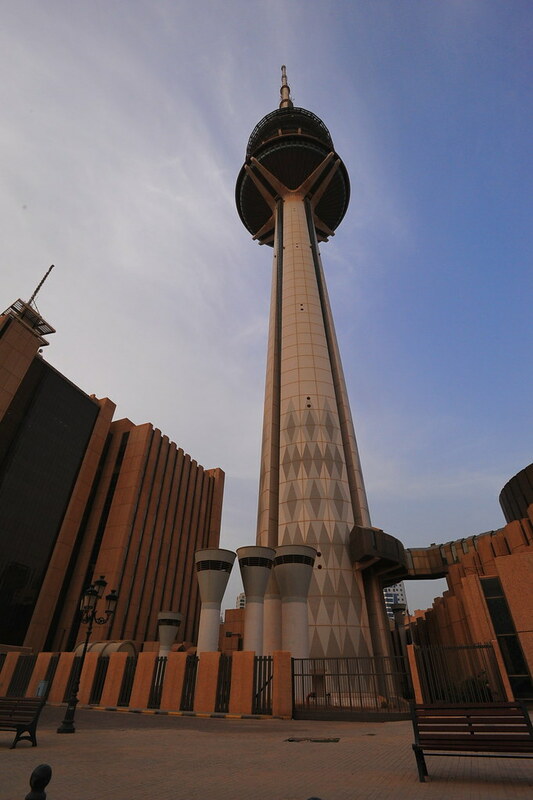 By then it hit 3pm, so we returned to Kuwait Towers and paid the admission ticket of 3 KWD to go up to the 4th floor, which sports a revolving viewing deck and a snack bar. 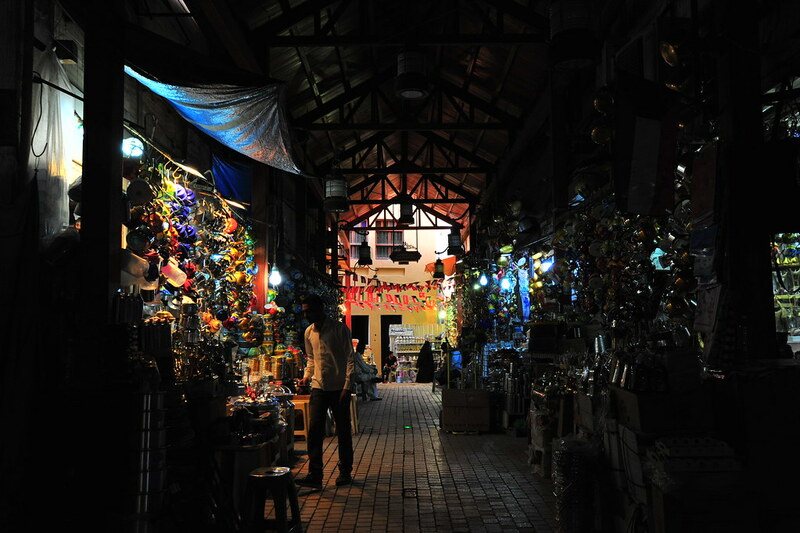 After about half an hour here, we took a cab to Mubarakeya souq, which is a covered market of connected outdoor shops. Some were open. 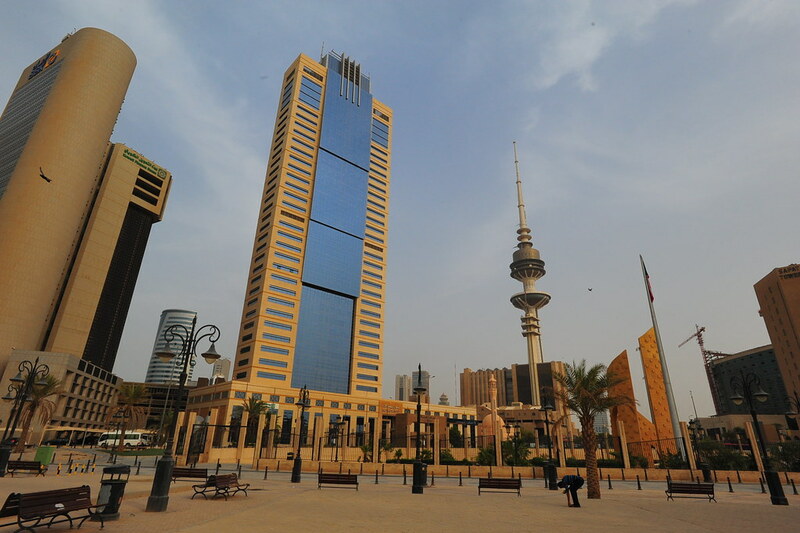 Around the souq are some small parks and fountains where you can get more views of downtown Kuwait City. 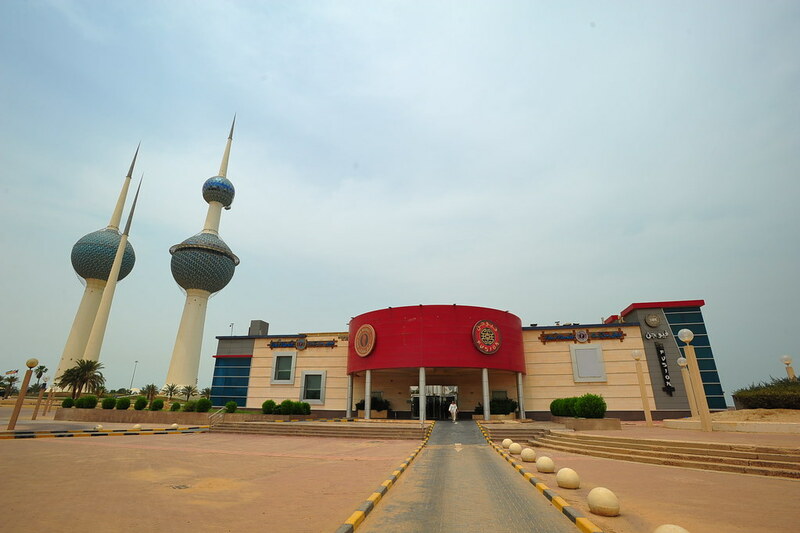 We tried to walk in the heat to the National Assembly of Kuwait, famous for being designed by Jørn Utzon (who also designed Sydney Opera House) but gave up after 15 minutes and took a cab for a fly-by. 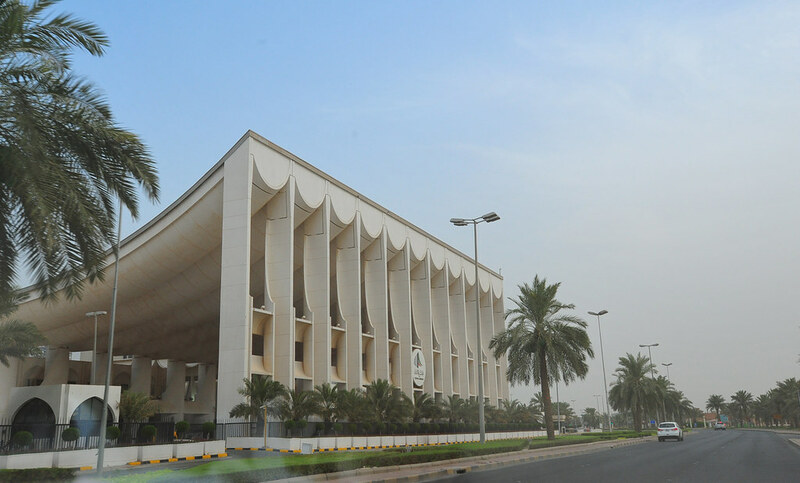 For many Kuwaitis, the National Assembly building is a symbol of freedom and democracy in the Middle East. 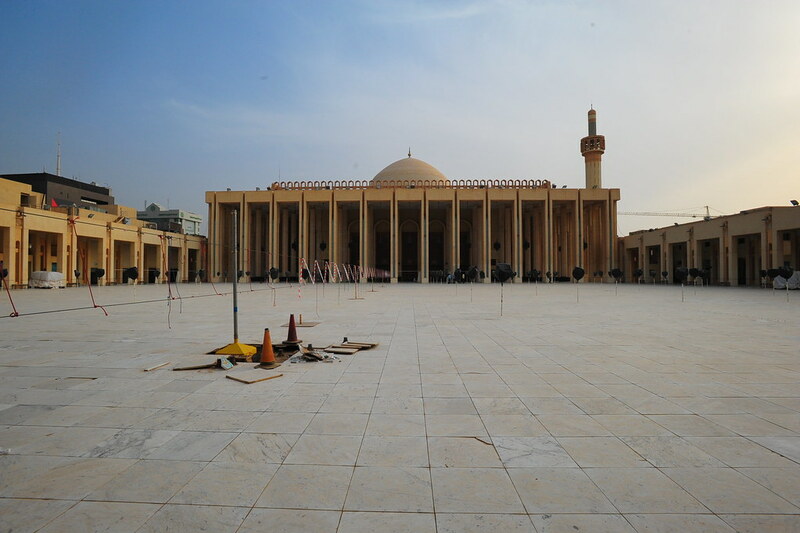 We then tried to get into The Grand Mosque as their opening hours are listed to be 10am-11am in the morning and 5pm-7pm in the afternoon. 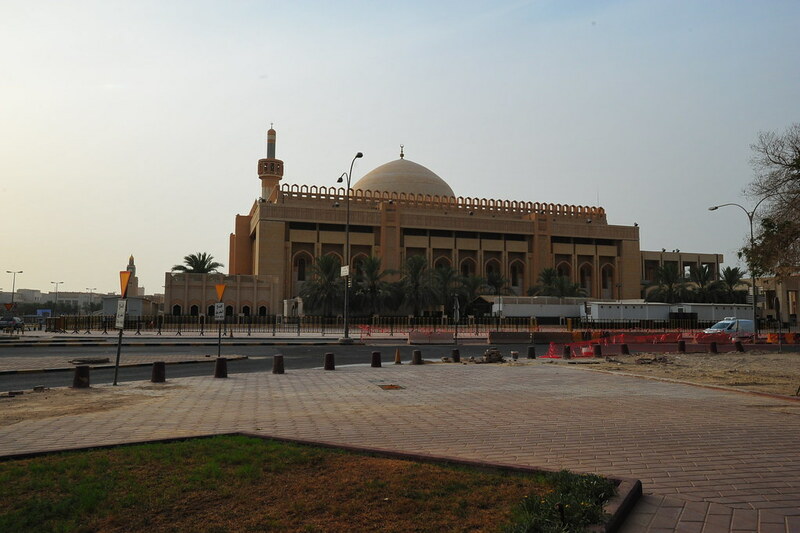 However, we would find out from the security guards that during Ramadan, the mosque is only open in the mornings. We tried to sneak in anyway from the back. 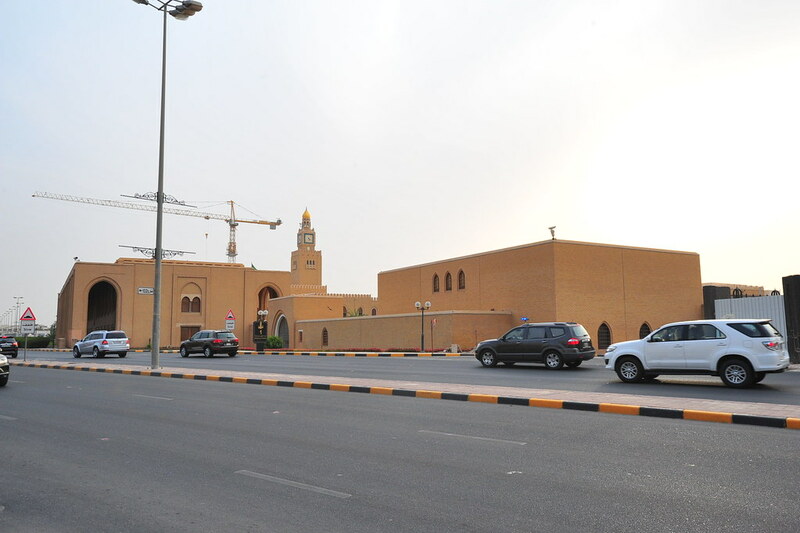 Across the street from the Mosque is Seif Palace, which is best known for its watch tower covered in blue tiles and with a roof plated in pure gold. 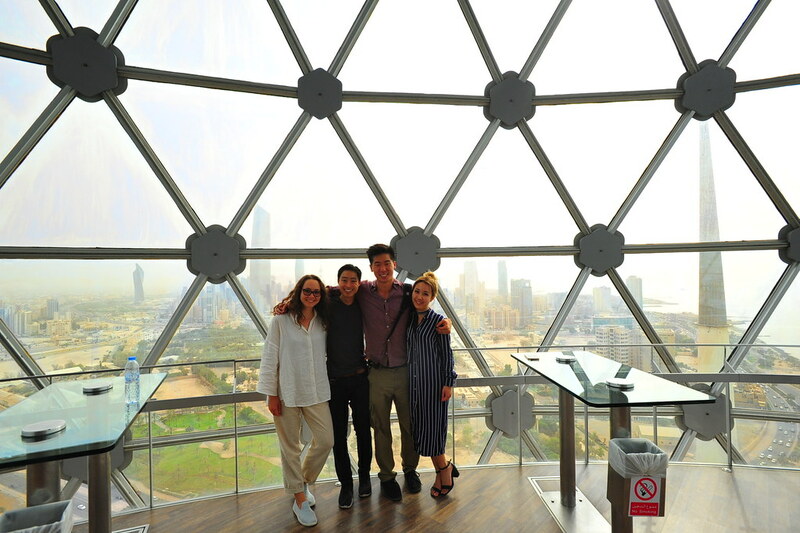 Afterwards we hailed a cab and took it to Liberation Tower, a 372-meter-high telecommunications tower, the 39th tallest building in the world. 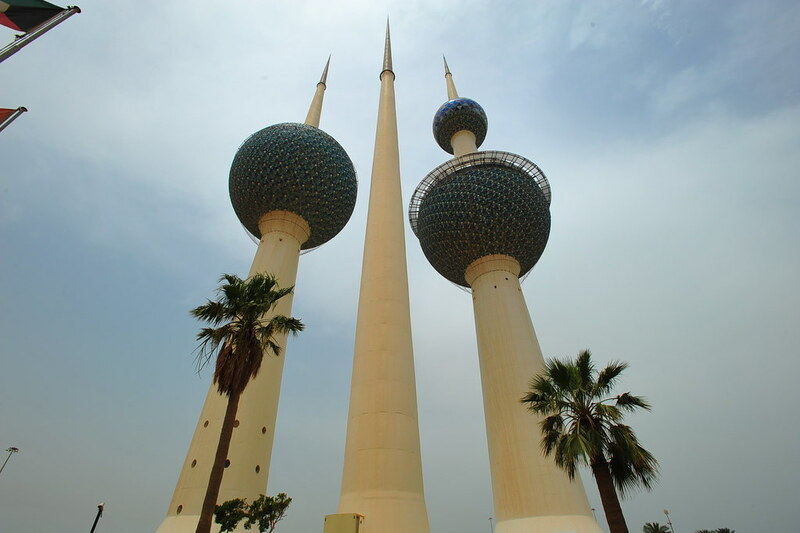 It was built to symbolize Kuwait’s liberation from Iraq. 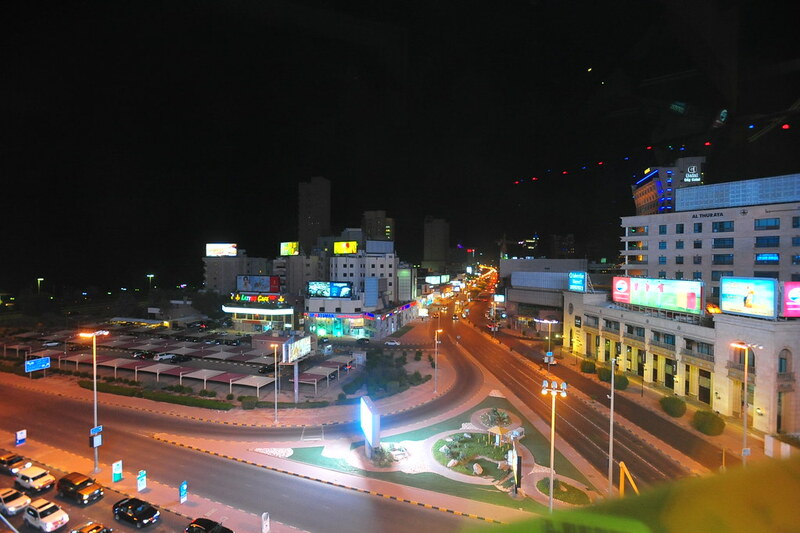 We then returned to our hotel to pick up our bags, heading to KWI airport afterwards to catch our 9:05pm Oman Air flight to Muscat. Get there a little early even if you already checked in online; you still need to wait in the check-in line for a printed ticket and then wait in another line at security, and then it’s another line for passport stamp out, and then another security line to get into your gate. 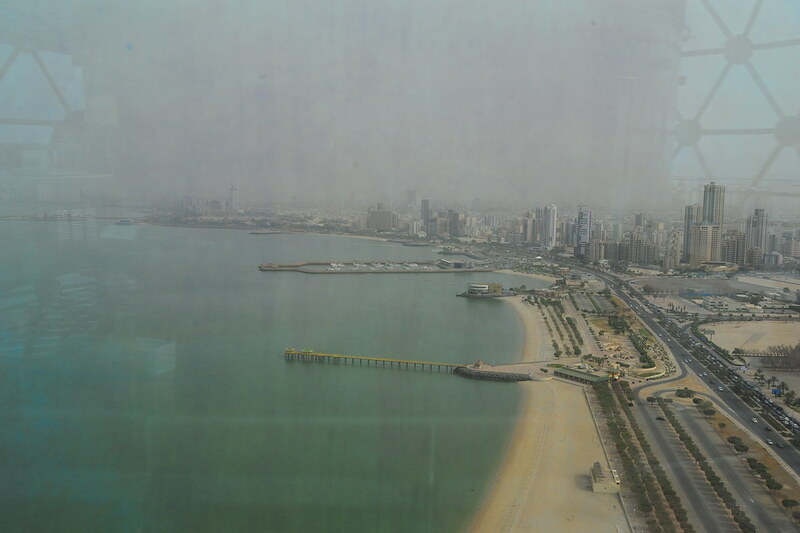 Luckily for us there’s not much to do in Kuwait during Ramadan so we got there really early and used our Priority Passes to enjoy the best of the lounges, Dasman First Class.